When September ends, my story will be complete – at least for now. The pieces are falling into place: I’ve put my deposit down for a rental apartment; my flights to and back from New York have been booked; the beloved’s secured a job here; I myself have been working now for a month; even my cat’s all set for moving back (quarantine and all sorted). Between now and the end of September however, I’m feeling a little lost in limbo; which shouldn’t bother me in the least since I’ve been living in limbo for the last two and a half years, and it wasn’t all that bad. 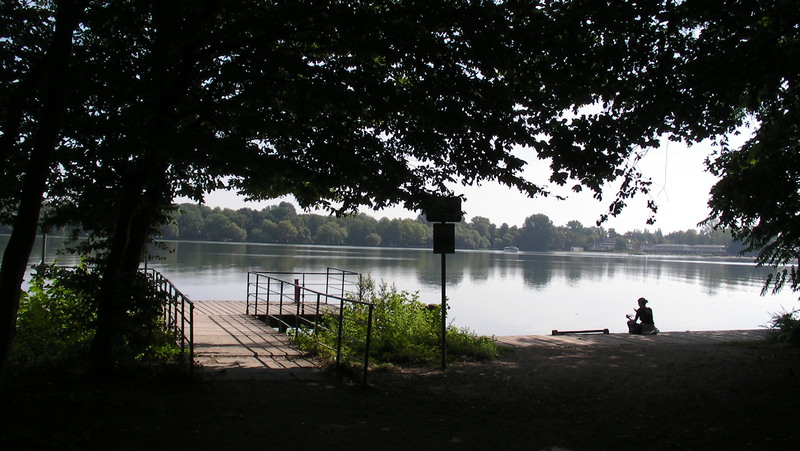 A flip through my photo albums found me in Hanover, Germany, strolling through a lovely tract of countryside that sits at the edge of the city, by its large, artificial lake – the Machsee – commissioned by Hitler in order to boost employment during the Nazi era (see picture above). I was at the tail-end of my whirlwind journey to reconnect with old friends from college (and to find myself in the meantime). In three days time, I would be in Gothenburg, Sweden – my absolute last stop. What a difference a year makes! This time last year I was fraught with anxiety and fear, thinking that I would lose a relationship due to us being separated by an ocean, and due to my own willful refusal to settle down. Today, I feel strangely calm, limbo notwithstanding, knowing that everything will fall into place eventually. There is a certain inevitability to my situation, which – again strangely – I am accepting with good grace where I would have rejected it before. It seems somewhere between last August and this August, I grew up. I am reminded of a coming of age song that was very popular in the late 2000s – Wake Me Up When September Ends by the punk-turned-pop-rock band Green Day. How did the lyrics go again….? I never quite paid attention to the lyrics of this song before. It seemed as a young man pushing 30 at the time, I was past all of that angst and yearning. But as we fumble and fail our way through life, things that once seemed trivial take on new meaning. Coming of age is not a once-off event, but a continuous journey of discovery. So yes, Summer has come and passed. I’d like to take a nap now and wake up when September has gone away too. I’m hoping that when I awake, the Autumn colours will be stunning. Gallery | This entry was posted in Home, Travel & Mobility and tagged Hanover, Home, New York, Singapore, When September Ends. Bookmark the permalink.